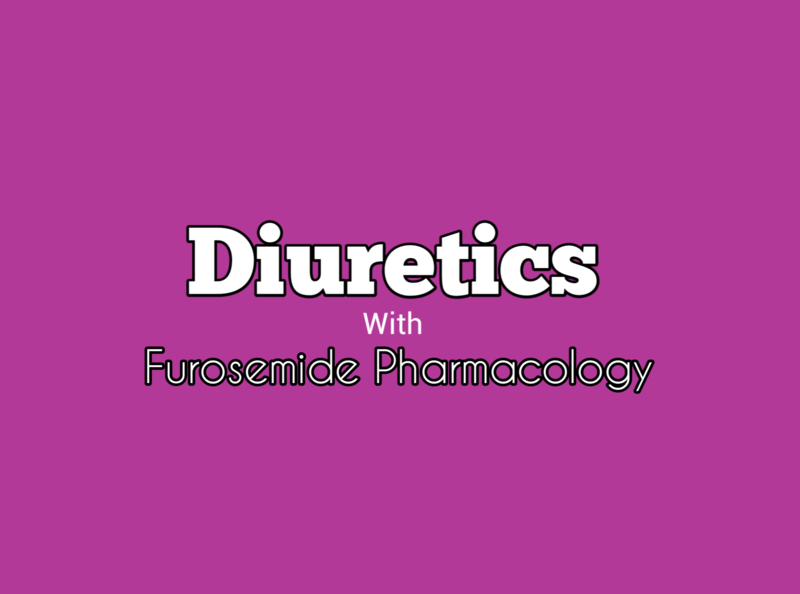 Diuretics are Substances or drugs that are used to enhance or to modulate or to potentiate diuresis.OR Any agents or drugs that increase the volume of urine and any agents that increase the excretion of sodium (Na+) in the urine is called natriuretic or diuretics. (Oedema related to myocardial infarction and Oedema related to liver cirrhosis. After oral adminstration absorption is satisfying,more the 40-60% of drug have absorption capability. In case of solid dosage form its onset of action is 30-60 minutes. More the 80% of drug have protien binding ability. As for mechanism of action is concern it is restricted to loop of henle and distilled part. it block Na-K+2cl- Cotransporter .Overall the drug is responsible to reinhibit the absorption of Na+,Cl-,Mg+ while on other side responsible for extretion of H+and K+ ions by tubular secretionso overall effect is reabsorption of various ions net result will decrease plasma volume inother words we can say it decrease peripheral resistance,venous return to heart,decrease diastolic blood pressure,so obviously there will be decrease heart rate ,cardiac output,and decrease systolic blood pressure.so loop diuretic have ability to decrease diastolic blood pressure by direct pathway while systolic blood pressure by indirect pathway. It is most commonly related to lung directly related to deoxygenated blood ,specialy in condition like if a person is suffering from congestion of lungs so on one side it increase quantity of deoxygenated blood towards lungs while on other side due to congestion leads to increase permeability at the level of endothelial cell so liquid portion will ooze out towards interstatial area which is responsible for pulmonary oedema. By taking support of loop diuretic peripheral resistance and venous return will decrease.this lead to decrease work load on heart obviously the contractility of heart will be decrease which in turn will decrease transportation toward lungs. Loop diuretic specially frusemide use in generalized type of oedema relating to some pathological conditions like CHF,tachycardia,and liver cirhosis. Loop diuretic is used in hyperkalemia because it block Na-K+2cl- Cotransporter and block K+(Potasium) to go to the blood so potasium level in blood decreases. Loop diuretic is used in hypertension in aged candidates while taking support of strips managment protocol for hypertension.also used to decrease Na+ intake ,Decrease alcohol consumtion specially in pregnancy.Also used in hypermagnesemia and hypernatrimia. Osteoporosis if use for long time. 1)Monitor for possible occurence of blood dyscrasia and liver damage,monitor urine and blood pressure in diabetes. 3)Incase of lactating mother it cross and exrete in milk so can effect the child. 4)In case of childrens may increase incidence of patent ductus arteriosis in premature infant especially with respiratory distress. 5)Persons Showing hypersensitivity reactions towards sulphonamide can show allergic reaction to frusemide. 6)Renal function:If increasing azotemia and oliguria occurs during treatment abruptly discontinue the drug. 1)Interaction of other antihypertensive drugs with frusemide increase the effects of frusemide.If use with other antihypertensive agents then reduce the dose by atleast 50%. 2)Frusemide Increase plasma lithium level and cause toxicity. 4)Phenytoin may reduce diuretic effect of frusemide. 4)Interaction of frusemide with thiazide diuretic can show synergistic effect that may result in profound diuresis and serious electrolyte abnormalities.